Bollywood producer and filmmaker Karan Johar is one of the prominent personalities in the industry. He has given Bollywood some of the memorable films and songs which have left a permanent mark in the eyes of the audience. Karan has become India’s first filmmaker to have a wax figure at the popular Madame Tussauds in Singapore. The filmmaker along with his mother Hiroo Johar unveiled his wax statue and the mother and son duo looked elated as they clicked some happy pictures. 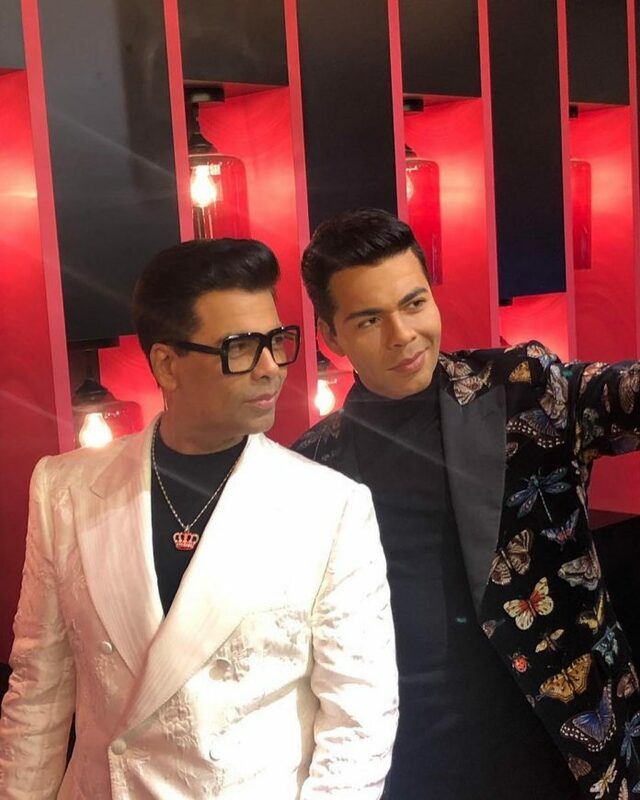 As everyone knows that Karan is obsessed with selfies, his wax statue totally justifies his selfie obsession as it is made like he is clicking a selfie. Karan and mother Hiroo looked elated as they posed with the wax figure. The film maker’s wax statue is seen wearing a black turtle neck t-shirt, black pants and a black blazer with butterflies. Karan is the owner of the popular production house Dharma Productions. Next articleKalank official trailer out now!